Rahul is the senior vice president marketing for Edelweiss Broking Ltd., an Indian Financial services company in Mumbai. His career spans 17 years since completing his MBA in Marketing. He has created a number of startups mainly in the online space, some successful, some not so much he’ll tell you. Having been involved in startups since the early days of his career, Rahul is enthusiastic when it comes to new business ideas and interaction with young business entrepreneurs. IdeaGist’s online startup incubator is a real positive in Rahul’s opinion. “Their energy, passion, and attitude always fascinate me,” Rahul says. 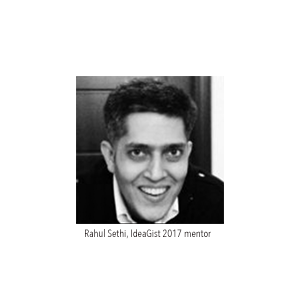 “I feel IdeaGist’s virtual incubator is a great idea to connect these budding entrepreneurs with seasoned professionals who mentor from across the globe, for guidance and mentorship at the really early stage of their venture. “My own background with startups helps me understand the importance of mentors to new entrepreneurs,” he says. 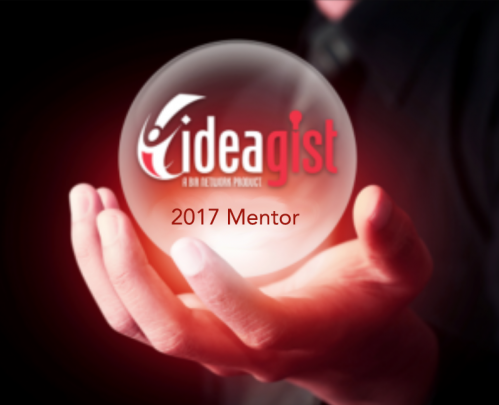 “Mentoring is one of the most important pillars in the startup ecosystem, providing guidance, sharing insights, and learning to help entrepreneurs adapt and pivot in real time. Mentors can assist and help startups avoid committing the mistakes that they are not able to foresee due to lack of experience.